For countries like Egypt, sand is a serious issue. Much of the sand ends up on the roads, which can lead to hazardous driving conditions. How can this and other debris be effectively taken care of, swept up, and placed on a truck? That’s where Broddson comes into play! 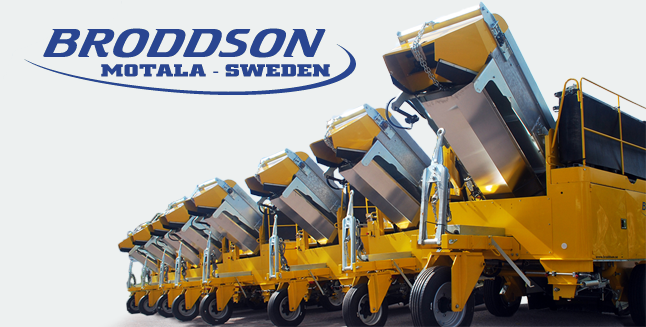 Broddson AB in Motala, Sweden, is a world-leading manufacturer of sweepers for road maintenance equipment that is experiencing rapid growth in Scandinavia, the Middle East, and Africa. In addition to global sales, installation, and technical support, they also provide spare parts and brushes through a network of suppliers and partners. 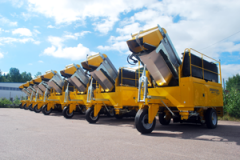 A popular machine is the Broddson Scandia towed conveyor sweeper which removes sand from the road and transports it via a conveyor belt to the back of a truck. 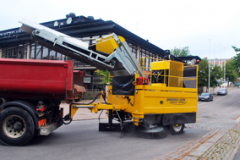 To design its complex sweepers, Broddson uses IronCAD. When creating a new machine, there are many phases that address issues such as making sure there are clearances for the installation of a diesel engine and various other components, the welding of beams, and plate bending. It later turned out that Broddsons’s major subcontractor BTT Plate AB in Kisa had already discovered IRONCAD and had been using the program for years! Since BTT could absolutely recommend IRONCAD, it was an easy decision for Liliedahl and the Broddson engineering team to switch. “We are obviously delighted to have Broddson as a customer,” says Henrik Andersson of Solidmakarna AB, which represents IronCAD in Sweden. “Their products are leaders in their industry and a perfect fit to create in IRONCAD — machine construction with a mix of industrial components and self-manufactured parts. We see Broddson’s needs as typical for many companies: You want to create and modify freely without the restrictions of traditional CAD software, develop new products and customize existing ones. No one can predict what the next idea or customer’s request will be, so having a design system like IRONCAD that offers incredible flexibility is key to reaching your design goals quickly and efficiently.